SA Golf Trader have been walking the fairways of the South African golf media industry for over 15 years and feel privileged to fulfil their role within this sector. Initially a printed A5 magazine and now a fully integrated digital publication with links to all websites, emails and social media. SA Golf Trader is now predominantly read online via a subscription based newsletter and a popular website that is updated daily with the latest golfing news. Printed magazines are still available at selected golf clubs. Facebook, Twitter & Instagram provide breaking news whilst readers can peruse the magazine (which comes out bi-monthly) for special features, golf tips, competitions et cetera. Golfers around the country enjoy reading SA Golf Trader; sharing the jokes, attempting the quizzes and planning their golfing getaways with the aid of the "trusty trader". 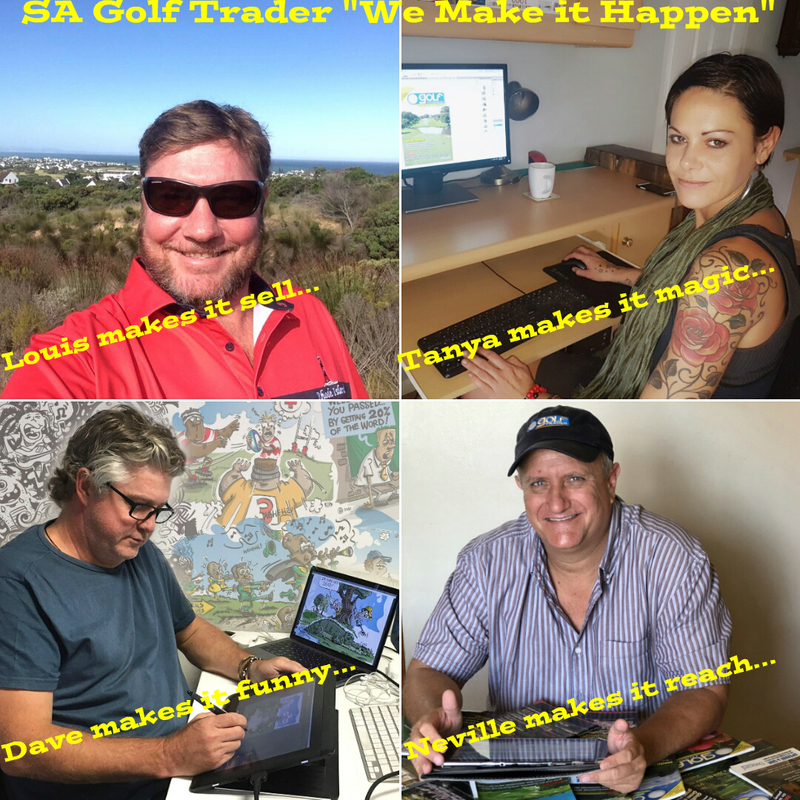 The SA Golf Trader team are passionate about what they do and constantly strive to "Make it Happen" for both their readers and advertisers alike.